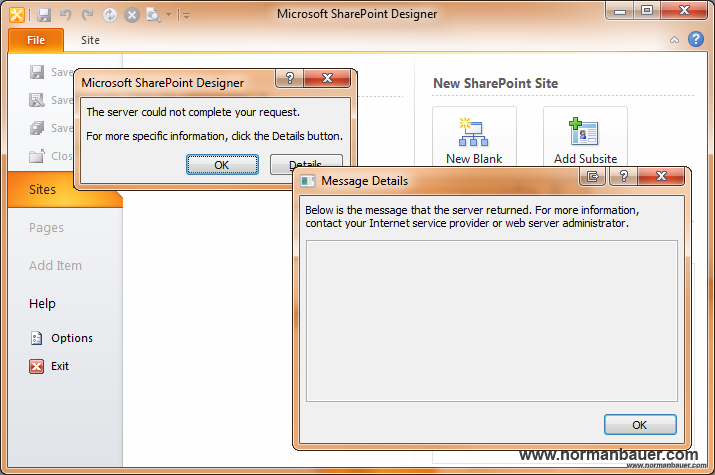 When opening a site in Microsoft SharePoint Designer 2010 the following error occurs: “The server could not complete your request. For more specific information, click the Details button.” But when clicking the “Details” button, a window opens that does not specify anything. It says “Below is the message that the server returned. For more information, contact your Internet service provider or web server administrator.” But the message is empty. There are no details given on the error. 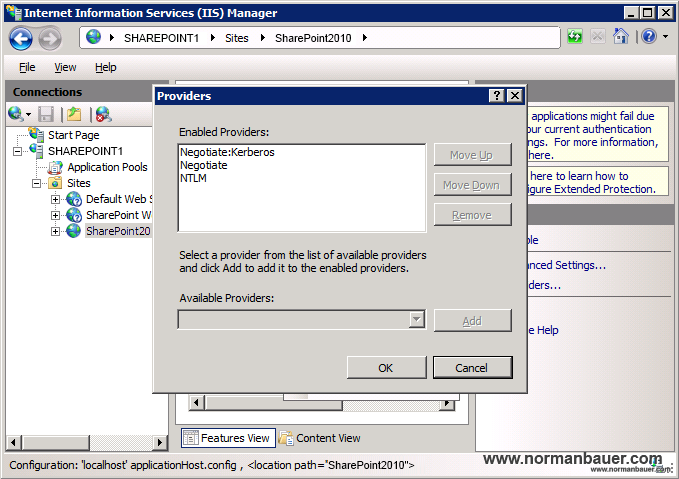 After closing both windows a message appears: “An error occurred while trying to fetch data from your SharePoint site. Unexpected response from the server. The content type of the response is “”. The status code is “OK”. All that you can do now is to hit OK. But the website will not be opened and nothing else will happen. I don’t know why, but my first thought was about authentication. I checked it in the IIS Manager. 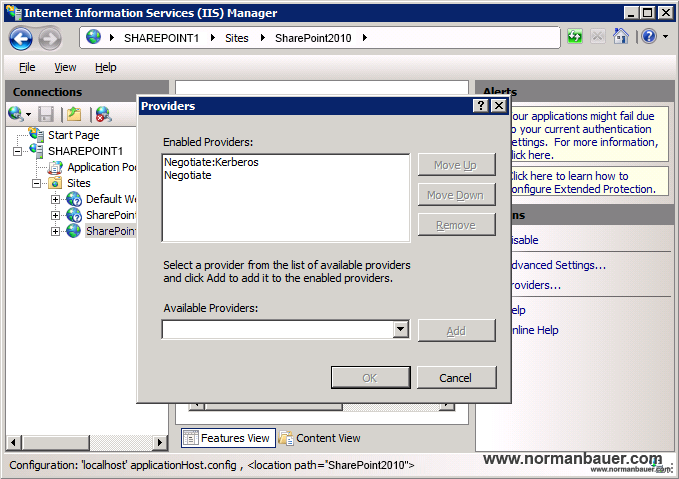 The authentication was set to “Windows Authentication”, its providers to “Negotiate:Kerberos” and “Negotiate”. 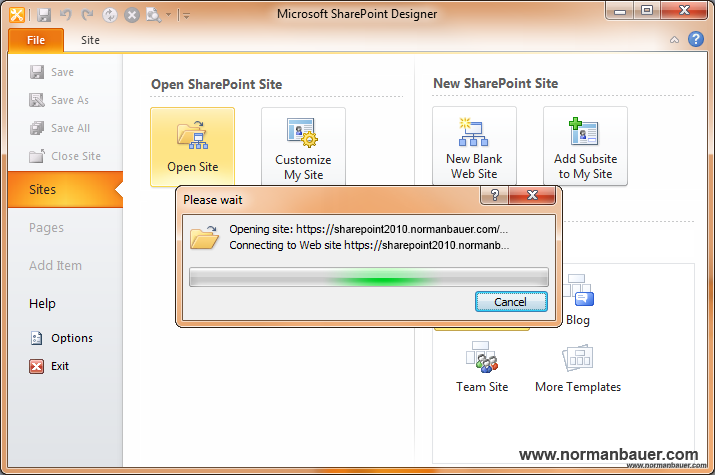 After adding NTLM to the list of providers I tried to open the website again in SharePoint Designer and it worked! 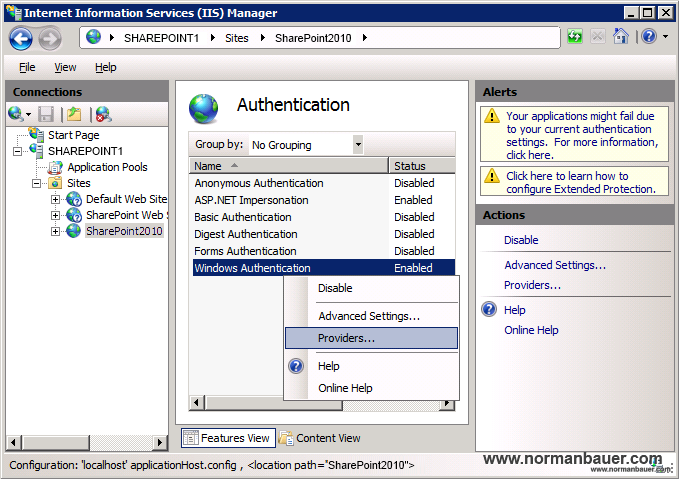 So if you change any authentication settings of your SharePoint sites always add NTLM as a fallback for the Designer. Otherwise it will not open websites authenticated by Windows Authentication.